This entry was posted on Wednesday, January 31st, 2018 at 8:34 pm and is filed under Announcements, News. You can follow any responses to this entry through the RSS 2.0 feed. Both comments and pings are currently closed. I would like to know if my W-2 Form has been sent to my address (624 Linden Ave Bellwood, IL 60104). I am no longer an active employee so I would like to make sure that I receive it. My student ID is 00001383874. Thank you! My apologies for the delay in responding. Yes, your W-2 was mailed to the address on file with HR. This is the same address that you listed. 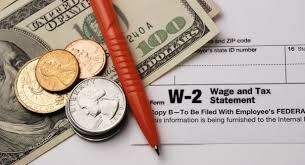 If you have not received your W-2 yet, you may request a copy by completing the W-2 Request Form. The form is available on our website at https://www.luc.edu/finance/payroll.shtml. If you have any additional questions, please feel free to reach out to kronoshelpdesk@luc.edu.